Crowdfunding is an excellent way to generate funds for a project, since it enables you to speak directly to your intended audience of would-be customers. It’s also easier than ever, thanks to dedicated sites like Kickstarter and Indiegogo. However, these external sites take a share of your generated income, and require you to adhere to their format and standards. If you want complete control over your crowdfunding project, your best bet is to host it yourself. 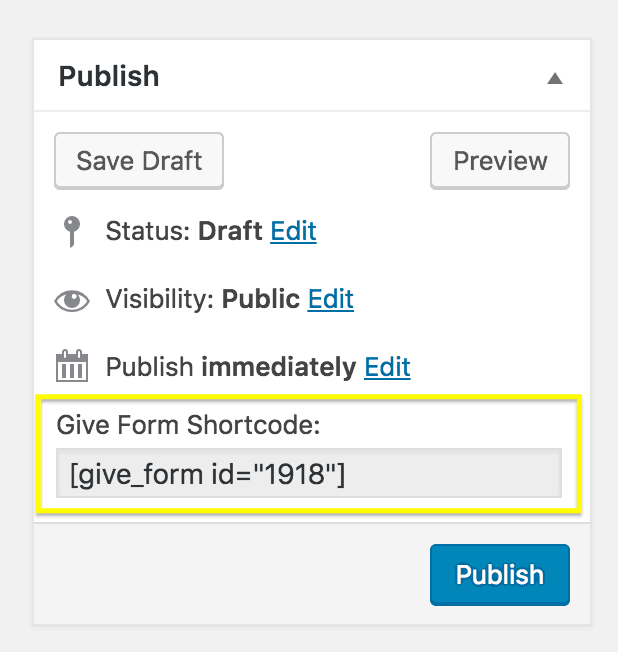 In fact, you don’t even need to leave your WordPress site to do so. Thanks to specialized plugins, you can run a project right from your website, and retain full control over every aspect. In this article, we’ll discuss the current state of crowdfunding and the benefits of using it to generate income. 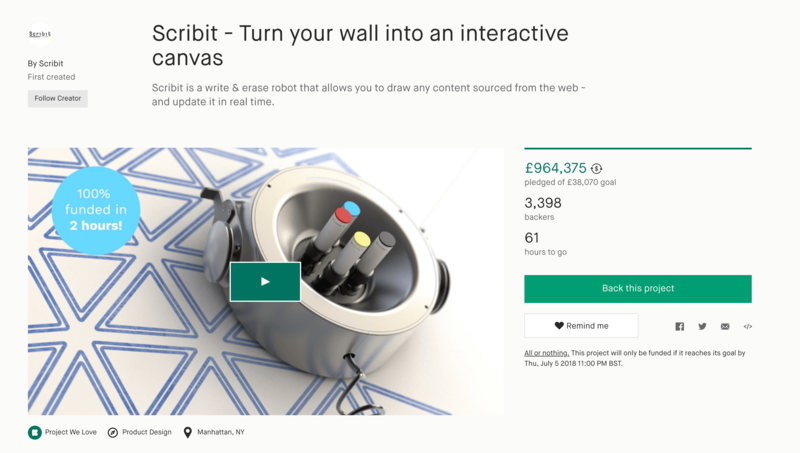 We’ll also show you how you can create and run a crowdfunding project directly from your WordPress site, by using a plugin. Let’s get to work! One of the trickiest aspects of getting a new project off the ground is gathering all the funds you need. The traditional approach is to reach out to possible investors, pitch them your concept, and hope they believe it has the potential to be profitable. While this approach can work, it’s not always reliable. You may struggle to find somebody willing to provide funds, especially if your project is fairly niche. In response to this issue, many entrepreneurs have taken to the new trend of crowdfunding. This technique works by soliciting small amounts of money from a large number of people, often in exchange for rewards. Crowdfunding lets you promote your project directly to your intended target audience and start earning money, before your product or service is even ready to go. Kickstarter. This is arguably the most famous platform, to the point where the term “kickstart” has become synonymous with crowdfunding. Users can ‘pledge’ money, and receive rewards based on the amount they give. GoFundMe. While this platform works a lot like Kickstarter, it has a greater focus on raising money for charity and other personal needs, such as medical emergencies. Fig. Instead of being offered rewards and gifts in exchange for funds, Fig enables users to invest in return for a share of the finished project’s future revenue. Patreon. With Patreon, creators can start a subscription-based crowdfunding campaign. Users, or ‘patrons’, pay small amounts regularly in exchange for rewards. Of course, crowdfunding isn’t the right choice for every project. Let’s talk about how to decide whether or not you should create your own crowdfunding campaign. At GoWP we help agencies and web professionals manage, protect and update their clients' WordPress sites with our white label service. Let us handle the headaches so you can focus on what's important — growing your business! We’ve already touched on some of the pros of using crowdfunding, but let’s look a little closer at those benefits. First of all, this technique enables you to generate funds directly from those who would be interested in the final product. You can aim your marketing directly at your target audience, and secure a customer base before your product even hits the market. Crowdfunding can also be very profitable, and several projects have managed to generate millions of dollars. However, it’s important to consider if your project is suited for crowdfunding. In general, this type of marketing is best used for projects that have a working prototype to demonstrate. You should also ensure that you have the resources needed to produce and deliver rewards, if applicable. Plus, you’ll need to be confident in your ability to produce a final product. You want to avoid becoming one of many unfulfilled crowdfunding campaigns, which would only disappoint your backers and hurt your reputation. Most importantly, remember that crowdfunding takes time and effort. What’s more, external crowdfunding sites require you to pay them a percentage of all the money you raise, and your project will need to adhere to their standards. However, you can sidestep those issues if you want, by creating your own independent crowdfunding campaign. To get your crowdfunding campaign off the ground, you don’t need to rely on third-party services. In fact, there are a number of WordPress plugins that let you add crowdfunding features to your website easily. 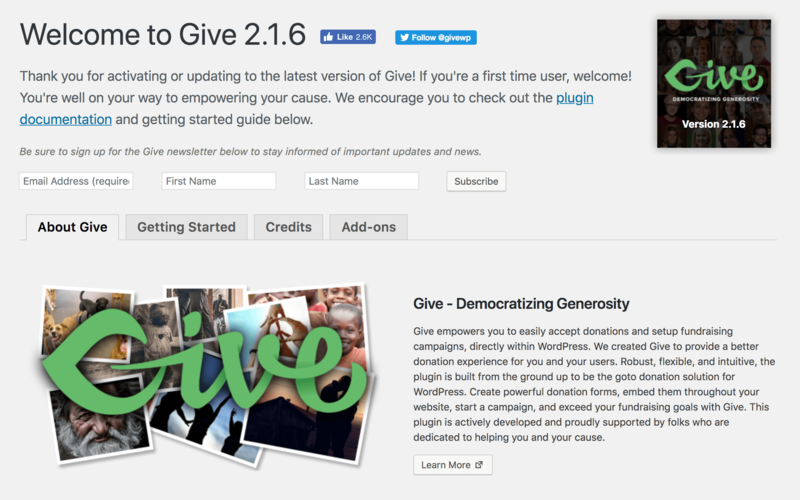 Give, for example, is a fully-featured crowdfunding solution for WordPress users. Give enables you to create your own campaign straight from your site. 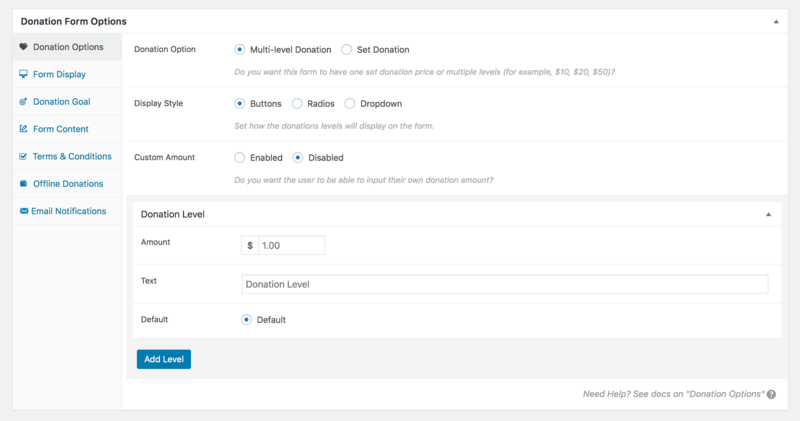 You can include multiple tiers, build custom donation forms, and even use any theme you like. This plugin also includes detailed reports that enable you to see all activity on your projects. Best of all, using Give does not require you to pay any commissions on the money you earn. 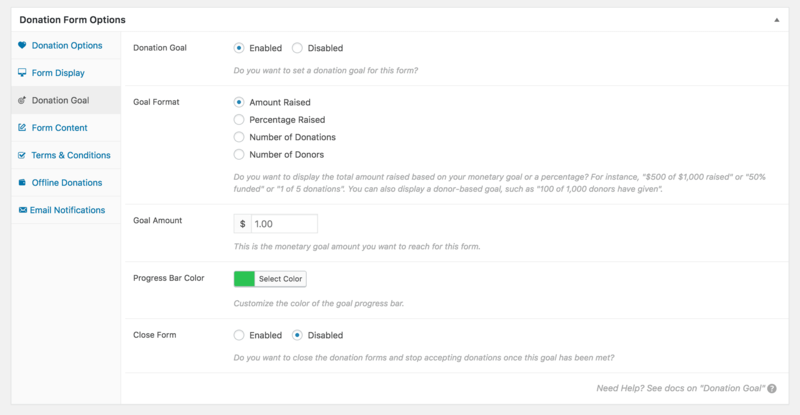 Enables you to create donation forms, funding goals, and custom tiers within your WordPress dashboard. Is fully compatible with any WordPress theme. Includes detailed reports to help you track donor and project activity. Pricing: The base plugin is free, but can be augmented with a number of premium add-ons. If the above list of features has you intrigued, let’s look at how you can create your own crowdfunding project with WordPress. 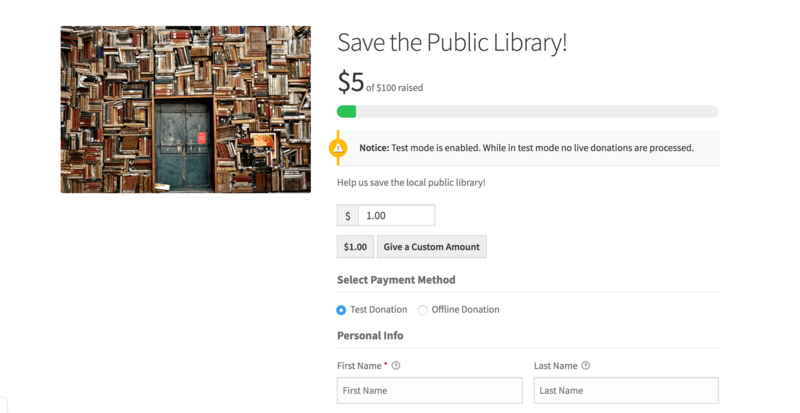 We’ll be using the Give plugin, since it’s free, user-friendly, and contains a lot of vital functionality. As such, you’ll want to begin by installing and activating the plugin on your site. Then, you’re ready to get started! As you can see, there are a lot of options here. We’ll only look at the most important ones in this guide, but we encourage you to read up on all the available settings. Which options you go with will be determined largely by your project. For instance, if you’re funding for a charity, it makes sense to accept custom donations. However, if you’re offering specific rewards for set amounts of money, you may want to make sure that users can’t donate less than the lowest tier. Here you can choose how donations will appear, what the Call To Action (CTA) on your button will be, and if users need to be logged in before they can donate. As we mentioned, there are several other tabs here. You’ll want to take a moment to look through them all, referring to the official documentation as necessary. When you’ve configured all the settings you need, it’s time to launch your project. 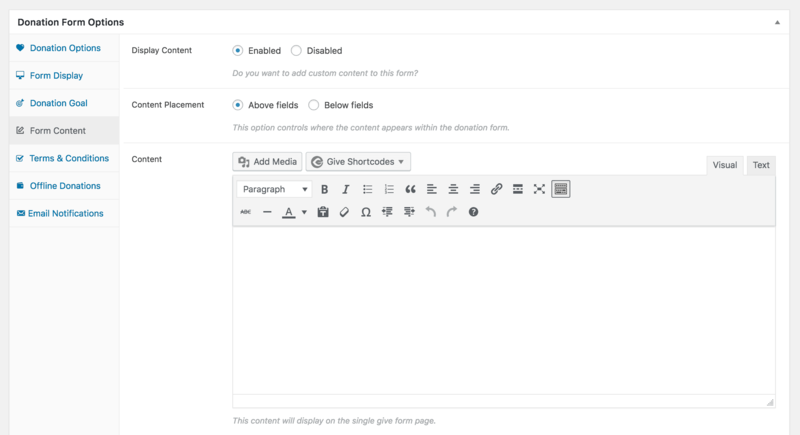 This will create a new page with your form on it when you click Publish. Once you’ve disabled testing, your campaign will be live for all users to see! One of the most crucial yet difficult aspects of any project is securing the necessary funds. Relying on investors can be challenging, especially if the project you hope to get off the ground is aimed at a niche audience. This is where crowdfunding can be a lifesaver, as it lets you speak directly to your target audience and accrue the finances you require upfront. Create a new crowdfunding form. Add the crowdfunding campaign to your site. 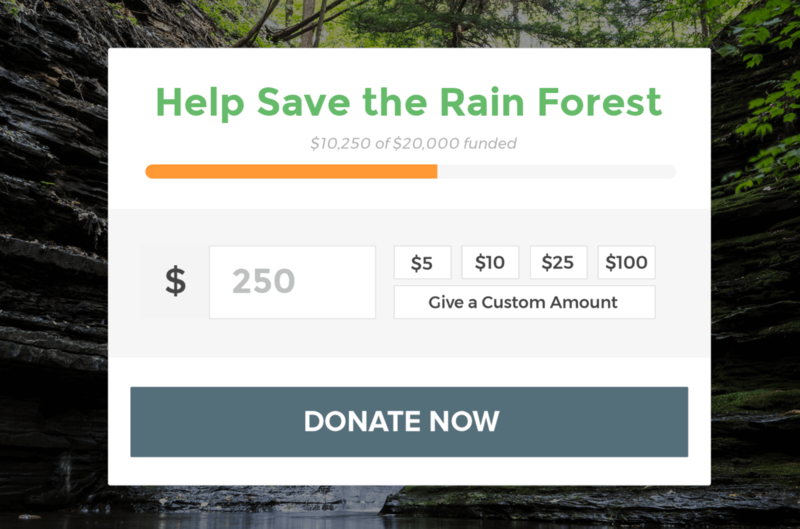 Do you have any questions about running a crowdfunding project via WordPress? Let us know in the comments section below! Join thousands of web professionals and get our business growth and WordPress articles delivered to your inbox. Want to earn more recurring revenue? Get our FREE e-book: Selling WordPress Maintenance Plans. Learn what to include in your plans and how to sell them to your clients.